Need some gear for your crow hunt? Visit the CrowMart. And remember, all Crow Busters members receive 10% off their entire order at the CrowMart. Where do crows hang out after work? The Crow Bar! How can you tell when a crow is insane? When it's a raven! What is an albino crow called? A Caw-casian! Why should you never let a crow use your phone? They make too many long distance caws! What kind of birds always stick together? 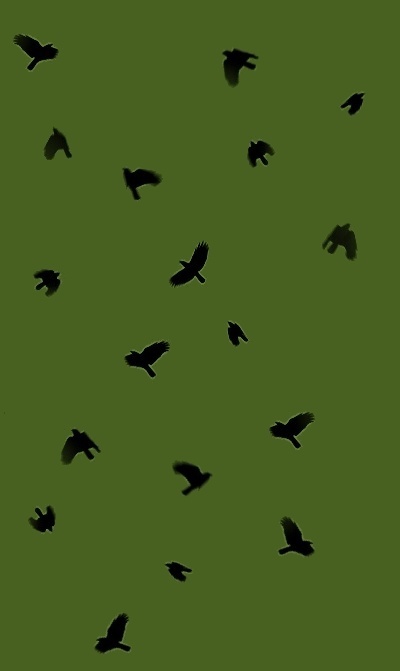 VEL-CROWS! What do you call four crows milling about on the side of a road? An attempted murder! What does the crow take to work in his thermos? Caw-fee! What did the crow use to waterproof his nest? Caw-king! Where do crows hang out after work? Considered a villain, a pest, and even a traitor to the war effort, the crow has been hunted with wanton abandon for nearly a century. With Federal protection and ideal breeding conditions, crow populations have steadily expanded throughout their range and have now become a viable and challenging game bird in the eyes of a new generation of hunters. That’s why Crow Busters was formed, to provide a resource to novice and veteran hunters alike on the techniques and methods to successfully hunt this worthy adversary. So take a closer look at this website to find out just what you might be missing! Listen	to	crow hunting Podcasts	from	Crow Busters Sr.	Field	Advisor	Bob	Aronsohn. Learn about the origins and spread of the West Nile Virus and how it impacts crow hunting. Learn how truly smart these birds can be! !! Join Crow Busters !! Access to Advanced Techniques, Tips and Instruction. 10% off all products at the CrowMart. BOB A's "HOLE IN THE CROW"! BOB ARONSOHN SETS NEW RECORD! On a cold morning in December of 2013 Bob sets a new personal and World record of 150,000 lifetime crows. NATIVE AMERICANS NEED YOUR CROW FEATHERS!